Fog envelops Moraine Park on a cool but magical October morning. 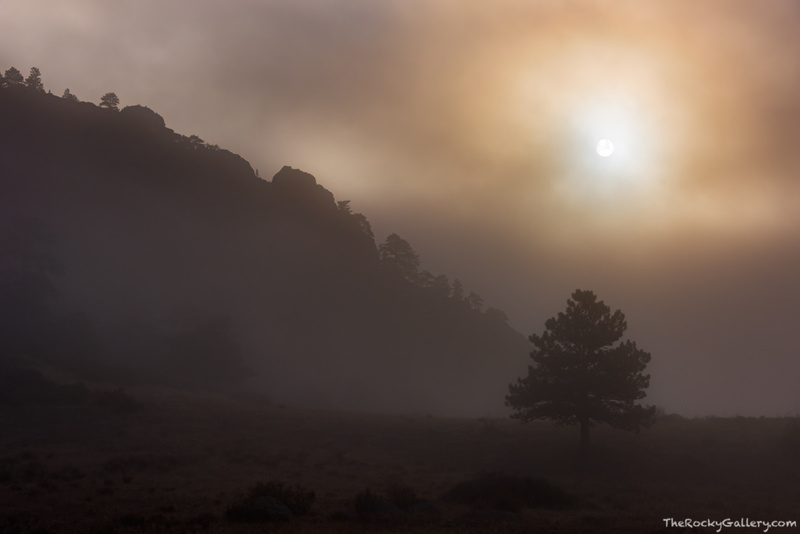 With the elk rut underway, the sun is attempting to push through the fog and warm the landscape. With elk bugling in the meadow, the heavy smell of fall in the air and the fog covering the landscape, Moraine Park was both magical and mystical this day. Photo © copyright by Thomas Mangan.